Designer zebra patterned veneer. Chrome legs and a natural smooth finish. Orders under 4 will incur a £40.00 delivery charge. Manufactured in high volumes and held in stock for a quick delivery. Designer bistro chair with a rare Zebrano finish. 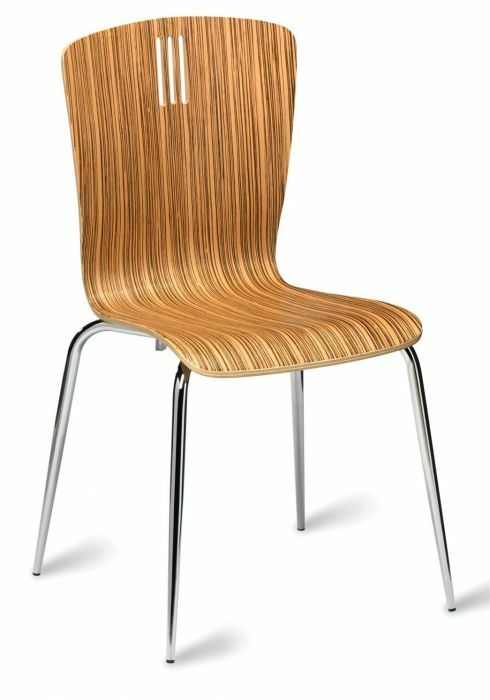 The chair features a sturdy chrome base with four legs and moulded plywood seat. Held in stock for a quick UK delivery with a 3 working day wait from date of order.